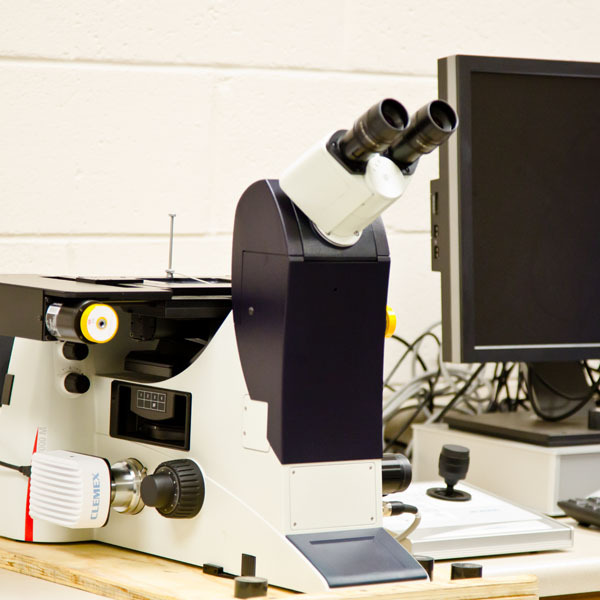 State of the art Leica inverted metallurgical microscope with high resolution photomicrography capabilities. Magnifications from 50X to 500X. Photomicrography in accordance with ASTM E883. Color video macro camera with stand, color monitor and printer for taking macro photographs of samples and parts. Three wet abrasive saws for sectioning samples. Buehler mounting press, belt grinder, grinding wheels and polishing wheels used for sample preparation in accordance with ASTM E3.